of Service to our Community. Top: Lions members with dignitaries in front of the raised Lions Centennial Flag. 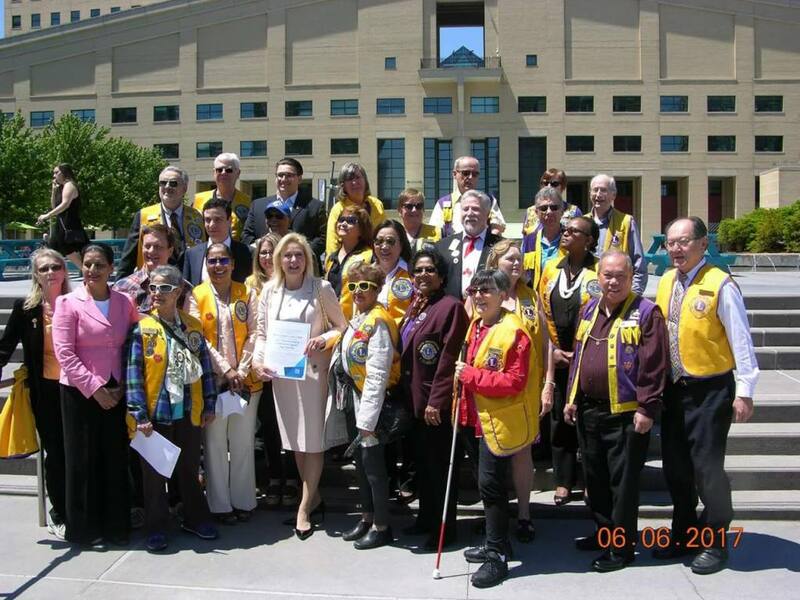 Middle: Lions Clubs Members along with our Mayor Bonnie Crombie, City Councillors, Ministers of Parliament and Provincial Parliament. 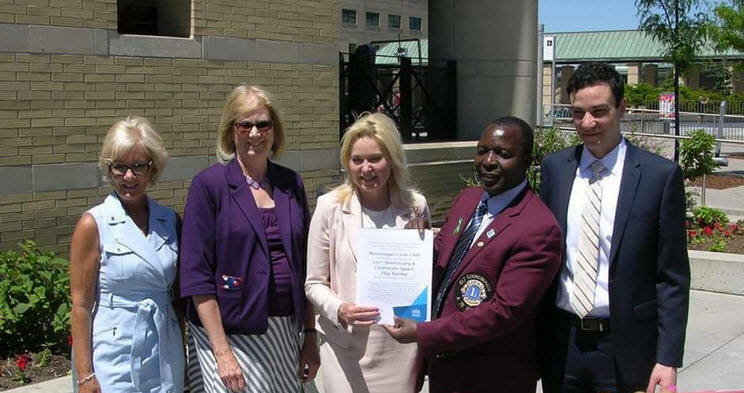 Bottom : Mayor Crombie Presents a Certificate in commemorarion of the Centennial Celebrtation of Lions Clubs International to District A-711 2nd Vice District Governor Lion Dan Sibanda. Wednesday June 7, 2017 is one hundred years from the day of the formation meeting of Lions Clubs International. 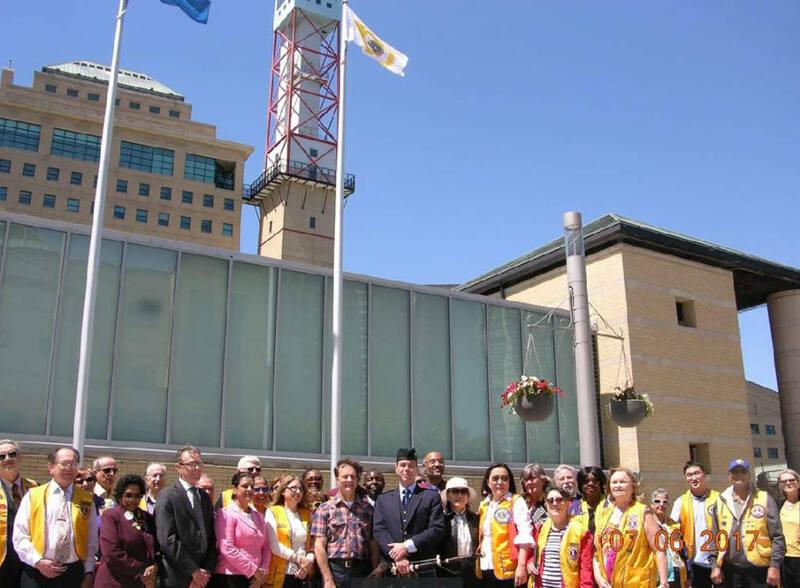 The first Lions Club in Mississauga was formed in 1937. Lions Clubs International is the largest service club organization in the world. Its 1.4 million members in more than 46,000 clubs are serving communities in more than 200 countries and geographical areas around the globe. Since 1917, Lions clubs have aided the blind and visually impaired, championed youth initiatives and strengthened local communities through hands-on service and humanitarian projects. For more information about Lions Clubs International, visit lionsclubs.org.